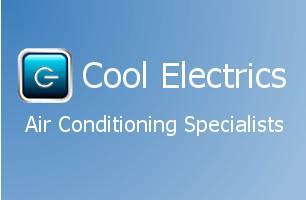 Cool Electrics are based in Putney providing Air Conditioning installations, repairs and servicing for London. We offer a professional and cost effective service for commercial and residential customers. We take pride in our repairs and installations, delivering a very high standard of workmanship and customer satisfaction. We believe our attention to detail and focus on customer care sets us apart. We provide free estimates for new installations - A visit at a convenient time to discuss all options with a written quotation provided. All types of repair work undertaken - a fast and reliable service with no call out charge.